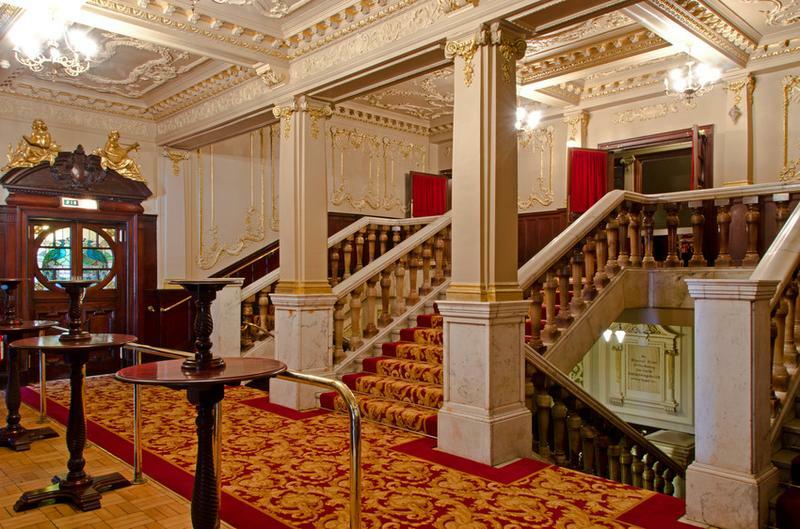 The Kings Theatre in Edinburgh has recently undergone a 2.6m refurbishment. Built in 1906 it is one of Scotland's most historic and important theatres. 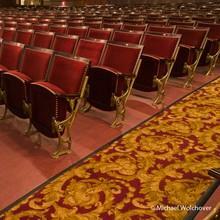 Brintons worked with Smith Scott Mullan Associates to produce carpets for the theatre. Originally the carpet was only in the auditorium and this was a mixtures of relatively small scale pink and purple swirls . Inspiration was taken from Brintons archives to make the design more contemporary with an increase in scale and use of colour. Using the architecture of the existing building as inspiration the final design makes reference to the scrolls of ornate plasterwork in the auditorium. The chosen colours reflect the deep reds and gold of the proscenium drapes. The new carpet has been installed in the stalls and dress circle, and has also been reintroduced into the main stair and foyer. The end result creates an atmosphere of sumptuous elegance that reflects the Viennese baroque design of the interior of this Category A listed theatre in the heart of Edinburgh. Working with the design department at Brintons allowed us to create a bespoke pattern based on their historic archive. Using colours matching the auditorium drapes the end result is a carpet in keeping with the rich architecture and elegant interior of this historic theatre.